The year has barely started and already things are busy busy. But in the very best way! 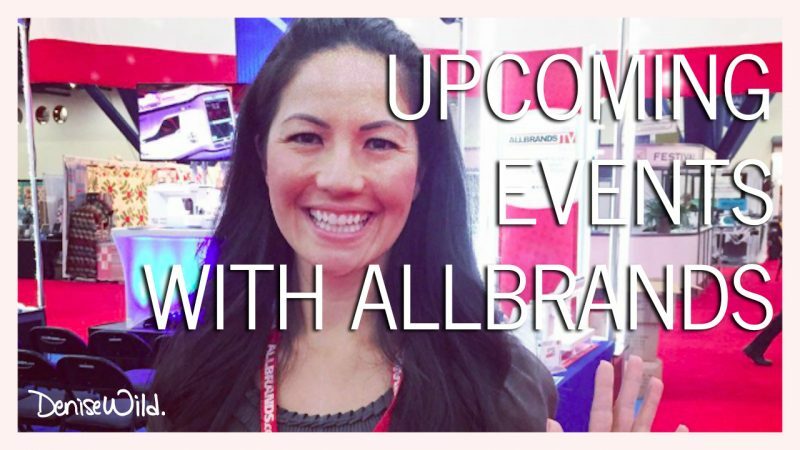 This year, I’ll be joining the AllBrands team to do product demonstrations as well as all-day sewing workshops* — with super amazing projects, of course! Here’s a breakdown of my year with AllBrands, so mark your calendars and join me! You don’t need to start from scratch in order to make stylish accessories! 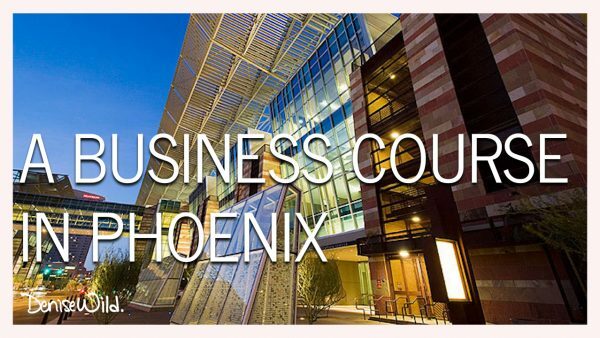 Denise Wild will show you how to take things you no longer wear (think of that concert t-shirt or that pair of jeans that used to be in style) and turn them into unique, fashionable projects you’ll want to show off and give as gifts. 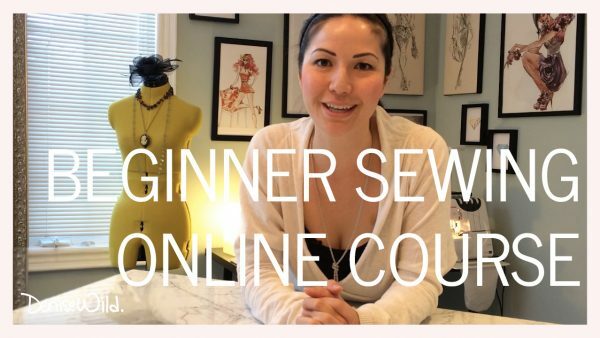 Denise will show you the art of fashion reconstruction while teaching you a number of important sewing techniques. Bring a pair of old jeans and a t-shirt you no longer love, and you’ll turn them into eye-catching projects including a clutch, a bracelet, a scarf, a necklace, a brooch, and a character pillow. Are you always searching for the perfect bag and wallet — ones that look good AND are functional? Make them! 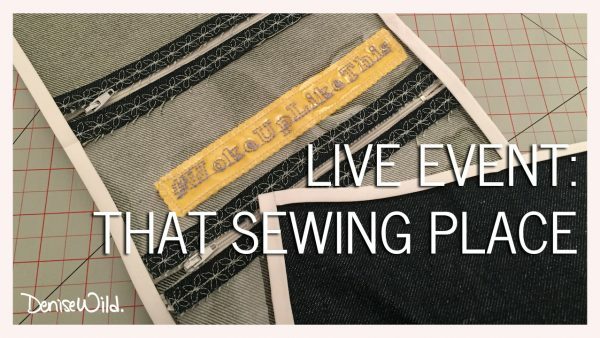 Denise Wild will teach you step-by-step how to sew a stylish, sturdy carry-all tote, compete with reinforced straps, squared-off corners, and a structured base to hold just about anything. Denise will also show you how to sew a functional and fashionable wallet designed specifically for your cards: membership cards, point cards, gift cards, and credit cards. 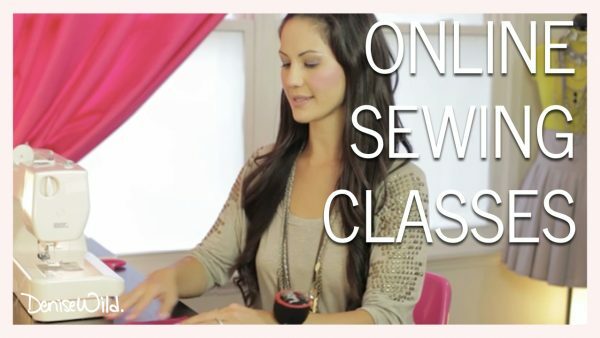 You’ll work with simple fabrics and closures in order to perfect your sewing and project assembly skills.